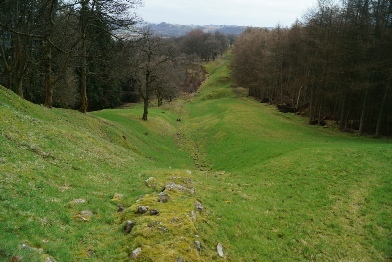 The Antonine Wall would become known to later generations as Grim’s Dyke. The title seems to have originated from corruption of the English word Grimes (meaning Devil's) Dyke - a name reflecting both the stories passed down from generation to generation of the Roman invasion coupled with acknowledgement of the epic scale of the work. Certainly to the populaces of Dark Age Scotland, many of whom would have lived a largely subsistence based life, the concept of tens of thousands of men coming to build such a structure would seem fantastical. Running for 37 miles it required the excavation of almost a million tons of earth to construct the ditch and stripping over 850 acres of turf to build the rampart. Along with the requirement to build the supporting forts, roads and other military sites the scale of the whole project was unparalleled in Scotland until the eighteenth century. The Romans correctly identified the thin neck of land between the Forth and Clyde as the narrowest point on the mainland. Building the Wall from Bridgeness to Old Kilpatrick it ran for 37 miles rising from the shores of the Forth along a ridge before taking the high ground to the south of the Carron valley. Thereafter it switched to the Kelvin valley before finally crossing that river and driving towards its western terminus on the Clyde. The Wall however was just one part of the frontier; there were additional forts to the east and west of the Wall whilst a network of outposts also extended north towards the River Tay. 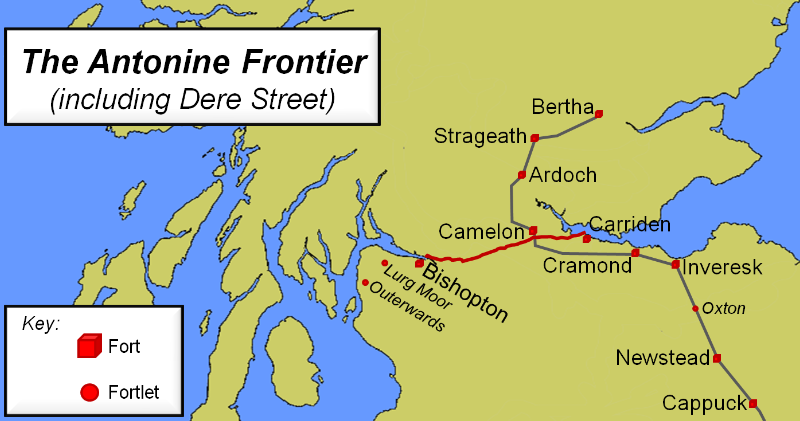 The first element of the frontier to be built was the Military Way followed by the primary forts at Carriden, Mumrills, Castlecary, Bar Hill, Balmuildy and Old Kilpatrick. Two of these were free standing and never connected to the Wall (Bar Hill and Old Kilpatrick). A further two (Mumrills and Balmuildy) had rampart extensions that the subsequent Wall buildings could connect to. Based on an inscription found at Balmuildy Fort, the construction work has been dated to no later than AD 142 as it cited Governor Lollius Urbicus who is believed to have left Britannia that year. It therefore can be stated with some confidence that work on the Wall started after the succession of Antonine Pius in AD 138 and prior to Urbicus' departure four years later. The next element that was prepared was the ditch which is presumed to have been constructed in advance of the rampart due to the presence of turf under the excavated spoil. Had the ditch been excavated concurrently with the rampart it is likely the latter's insatiable requirement for the turf would have seen this stripped first. With regards to the rampart we know the eastern 33 miles (from Bridgeness to Castlehill) was constructed ahead of the western section. The three Legions were assigned approximately 2 to 4 miles long segments and they recorded their efforts - in Roman Paces (1.4795 metres long) - on the distance slabs found along the line of the Wall. The associated fortlets, positioned at 1 mile intervals, were seemingly contemporary with the rampart as were the additional structures such as the Expansions and Enclosures (described here). 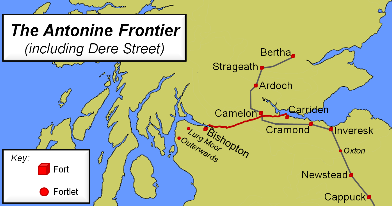 Around the time the Legions reached Castlehill, there was a change in the frontier's configuration. The decision was made to add further forts to the line of the Wall and it seems the building of the rampart ceased or slowed to divert resource to return east to build these extra outposts. When the Legions returned, they were allocated much shorter segments and this change was noted in the Distance Slabs where the unit of measurement was now Roman Feet (0.2959 metres). There is debate as to the date of construction for this final western miles of the Wall; some historians suggest troops from Britannia may have been dispatched to serve in operations abroad and moot that the Wall from Castlehill to Old Kilpatrick was not constructed until the AD 150s. 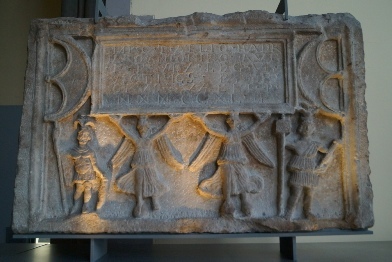 The date of abandonment of the Antonine Wall is debated. Perhaps it happened at the end of the reign of Antoninus Pius, who after ruling for twenty years, no longer needed the prestige of the expansion into Southern Scotland. Alternatively it may have been very early in the reign of Marcus Aurelius who came to the throne in AD 161. The scant evidence seems to suggest a combination of the two – perhaps preparations for withdrawal started under Antoninus and continued into the next reign. Certainly inscriptions found on Hadrian's Wall suggest rebuilding work there was underway in AD 158 and it seems likely this was part of a package to ensure the southern frontier was ready to re-assume its former duties. Major rebuilding work was also recorded at Corbridge, a major logistical base for Hadrian's Wall, in AD 163. 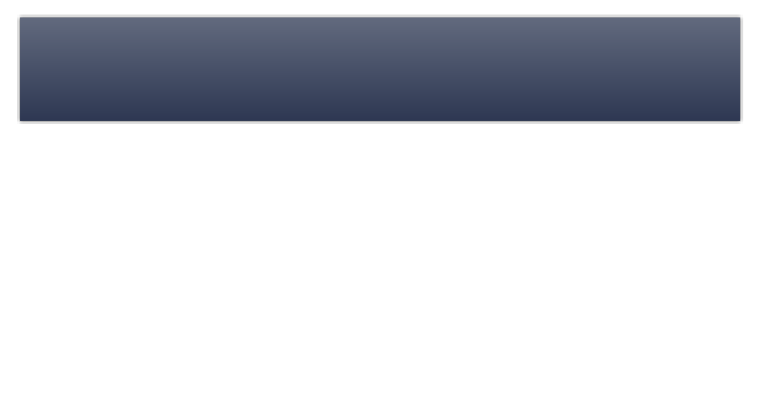 The reason for abandonment is also unknown. Some evidence from the Wall suggests that numerous forts along the frontier were manned by Legionaries rather than Auxiliary troops as was the norm. 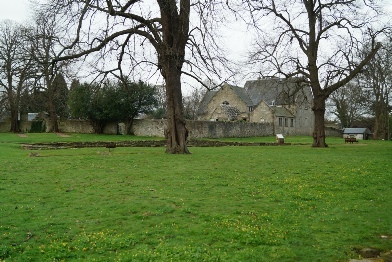 Soldiers of the Second Augustan Legion were recorded at Castlecary and Auchendavy whilst Sixth Legion troops were noted at Castlecary, Westerwood and Croy Hill. It is possibly this was due to a shortage of Auxiliary troops perhaps due to re-deployment elsewhere in the Empire (Rome was engaged with a war in North Africa) - it is possibly that abandonment was as a result of overstretch. There is also some evidence of war in Britain; the forts at Balmuildy, Castlecary and Rough Castle were devastated in the mid-second century AD. Whatever the reason by the mid AD 160s the frontier had been returned to Hadrian's Wall although it is possible there was periodic, perhaps expeditionary, use of Castlecary into the later second century. The withdrawal of the Romans after the abandonment of the Antonine Wall was not the end of their military operations in Scotland. In the latter second century and early third, the Caledones and the Maetae sought conflict with the Romans in Northern England. Initially brought off, Emperor Septimius Severus arrived in Britain in AD 208 with an army of 40,000 soldiers intent on stabilising the situation and conquering Caledonia. His armies passed the abandoned earthworks of the former Roman Wall but there is no evidence that any heed was paid to the former frontier although Cramond Fort, a supply base to the east of the Wall, was rebuilt and re-used. At the end of his campaign, cut short by his death in AD 210, the Romans withdrew from Scotland and did not attempt another full scale invasion of the country. Click for larger map. Each part of Section 3 has a map showing more detail. When the Romans had withdrawn from the Antonine Wall, the forts and other installations were burnt as was the standard operating practice of the military (to enable easy recovery of iron nails which could otherwise be used by a hostile populace to create weapons). 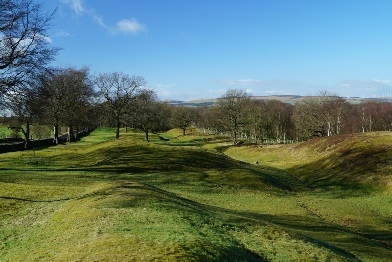 Nevertheless the earthwork remains of the Antonine Wall lasted much longer and was still largely intact in the mid-eighteenth century when the antiquarian William Roy mapped it. Shortly after wide scale destruction of the Wall started as, for the first time in fifteenth hundred years, society once more learnt to build on the same scale as the Romans. First came the canal builders who destroyed Cadder, Auchendavy and cut through the rampart no less than ten times during the building of the Forth to Clyde Canal between 1768 to 1790. The railways followed in the mid-nineteenth century cutting through the rampart eight times and ran straight through Castlecary Fort! In the twentieth century the construction of the M80 further damaged Castlecary and the M9 also punched through the line of the Wall. The biggest destruction though came from the need for residential accommodation and associated minor roads to support the growing populace of Central Scotland; Old Kilpatrick, Bearsden, Kirkintilloch, Falkirk, Mumrills and Bridgeness were all buried or destroyed in such building works. The fragmented remains were classified a World Heritage Site in 2008 as part of the “Frontiers of the Roman Empire” hopefully ending any further destruction. The “two acre” theory may prove to be sound but an alternative argument can be drawn from modern military practice and this perhaps provides another view of the manning of the frontier. Today numerous Ministry of Defence sites are split between different locations; the Royal Navy’s shore base of HMS Excellent for example includes facilities on two separate, geographically displaced, islands - but all share the name as they are under a unified Command. Perhaps then the ten Latin names were comparable and referred to military Commands rather than singleton outposts? We know that before the Wall was completed, the decision was made to add more forts to the line. This is often viewed as enhancing the garrison of the frontier but perhaps that perception is wrong; instead the numbers stayed constant with troops pulled from manning 35 to 40 small fortlets, straddled at roughly mile long intervals along the Wall, and placed into larger secondary forts for enhanced safety. * Bearsden Fort, started as a large enclosure before being divided into fort and annexe, had no Headquarters building and is seemingly ‘out of place’ relative to the adjacent forts. All of these factors are explained if this fort is actually just an ‘off-site’ extension of Castlehill; perhaps so-positioned to support the cavalry element of a combined Regiment. * The revised naming places Medio Nemeton at Bar Hill; this name was re-used at a shrine in Cairnpapple in the West Lothian in terrain much like that at Bar Hill. * Where specific Regiments are known for forts on the Antonine Wall, the facilities are generally too small to house the unit. 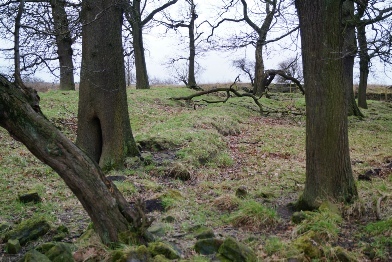 Based on the forts seen on Hadrian’s Wall, 5 to 6 acres seemed to be the default. * Duntocher Fort is tiny enclosing just 0.5 acre. Given the possibility that this section of the Wall was left incomplete for an extended period of time, the assumption is of a low-threat in this sector. If so, it would make sense that the primary fort at Old Kilpatrick - responsible for resupply of the western elements of the frontier from Dumbarton - would retain the vast bulk of the garrison. Other theories have also be put forward including suggestion that some of the Antonine Wall forts went out of use during the latter phases of occupation and therefore were omitted from the source used to compile the Ravenna Cosmography. Regrettably until further evidence is found, dispute as to the names will continue. By contrast the distance between the other forts ranges from 1.5 miles to a maximum of 2.5 miles. This has caused some to speculate there are missing forts waiting to be discovered. The 5 mile gap between Carriden and Invervon Forts runs parallel to the coast of the River Forth. In Roman times the water level was higher and would have lapped at the base of the high ground on which the Wall was built. From a military perspective it is entirely logically to assume there was no need for a fort in this area particularly given the proximity of the cavalry base at Mumrills, just 7 miles west from Carriden. A fort placed between Rough Castle and Castlecary would have been sited near Bonnybridge. Here there seems no good reason not to have a garrison although again the cavalry base at Mumrills, just 8 miles east from Castlecary, offered the possibility of rapid response to any incursion. To modern authors Bearsden Fort appears out of place as it is situated just 1.75 miles from Castlehill but 3.75 from Balmuildy. Furthermore that fort was on the other side of the River Kelvin and this does seem a military shortfall. However one explanation for the offset position of Bearsden is an administrative link with Castlehill and if it did indeed house a cavalry detachment, as is mooted, then the distance from Balmuildy is significantly more manageable. It is entirely possible than none of the above forts actually existed. Roy certainly did not see any traces of them during his eighteenth century surveys which were comprehensive and conducted before the wide scale destruction of the frontier. However the same could be said for Falkirk Fort which, although suspected on spacing, was only confirmed by archaeological investigation in 2008. Regrettably until future discoveries inform our understanding, the issue will remain unanswered. 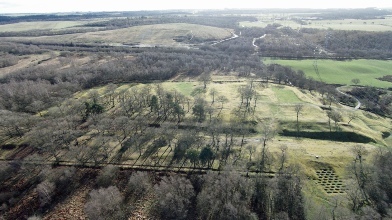 The Antonine Wall ran for 37 miles between Bridgeness and Old Kilpatrick and was augmented by additional forts to the east and west whilst a network of additional outposts extended north towards Fife. Construction started no later than AD 142 but the frontier was only occupied for around twenty years.